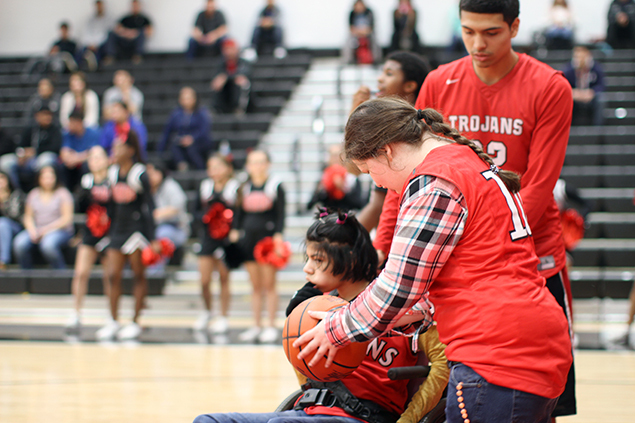 Pasadena ISD is one big, happy family – just ask students who participated in the OMEGA basketball game this morning at South Houston High School. 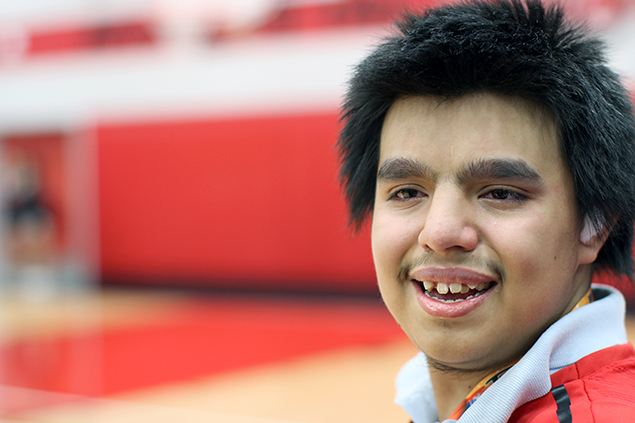 Teams were comprised of the school's basketball players and students involved in the Outcome-Based Measures Educating Growing Adults (OMEGA) program, which serves students in the special education program. This was not your average high school basketball game, where adults make the big decisions. Instead, the students were in charge. The Trojan basketball players were the coaches, referees, clock operators and game announcers. The basketball players helped to facilitate the game. At the end of the game, students received medals from a special celebrity guest – the Houston Texans mascot, Toro. Coach Patrick McCoy said all the students who participated in the event made him proud.